The subways are the backbone of this amazing city. At their best, they provide a cheap, reliable way to get to work, home, and around the city for everyone, from working class families, to students, to the wealthy, to tourists, and others. But we can do better. We must meet the funding requests that MTA President Andrew Byford is saying he needs to get our trains up to date and up to speed. 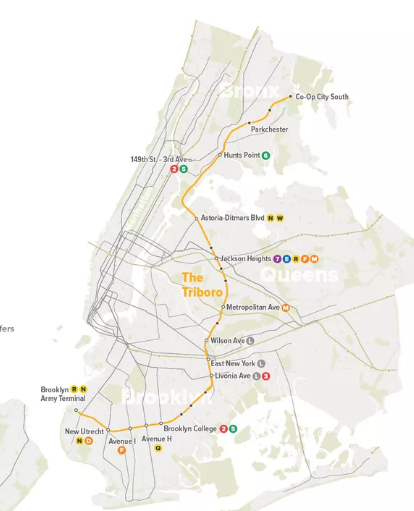 We can and should continue to expand our rail lines, including the installation of a subway line that serves as a connector of nearly every train line in Brooklyn and Queens, and would run from 65th Street Rail Yard at the Brooklyn Army Terminal to Bensonhurst, Parkville, Midwood, Flatbush, and on Glendale’s Fresh Pond Yards. This would cost less per mile than the expensive Second Avenue Q line subway extension because the rail line already exists and is in use for freight cargo (see below). We can pay for all of this by regulating and taxing marijuana, in the same way we do for cigarettes and alcohol. In addition to providing our state with hundreds of millions of dollars in new revenue, we would remove the onerous burden that our current drug sentencing laws place on our society, especially African-American and Hispanic communities.